Pretty sure this was the first touch screen instrument that Wersi produced. Can anyone confirm? 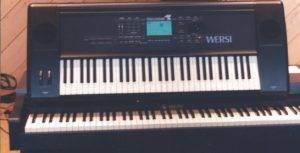 Available in a 61 note keyboard version (weighed a ton – we had one) or in a rack mount module allowing you to bring the sound of Wersi to other instruments or upgrade you older Wersi instrument by connecting via MIDI. ← Prefer Piano over Organ? 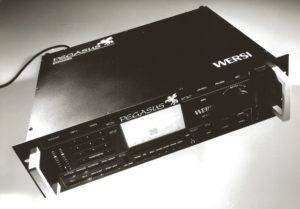 it still played well and sounded as good as it did when new. in Lancaster (Ralph Conti) where I presume the touchscreen was replaced and given some more life. The Pegasus was truly ahead of it’s time.